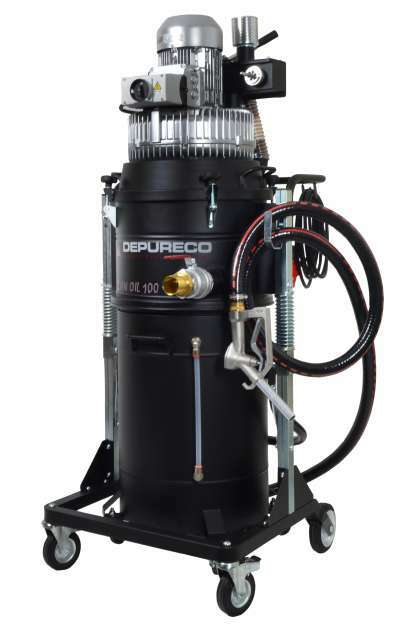 CLEAN OIL 100 is the three-phase industrial vacuum cleaner, engineered to remove oil sludge and shavings from the CNC machines. The internal metal basket permits to separate the sludge from the coolants. Compact and user friedly is the right vacuum cleaner to be used in narrow spaces. CLEAN OIL 100 is equipped with 4HP Siemens maintenance-free side channel blower, and with the “reverse-flow” to refill the filtered oil through 3mt.of flexible hose and an ergonimic pistol suitable to any kind of transfer.